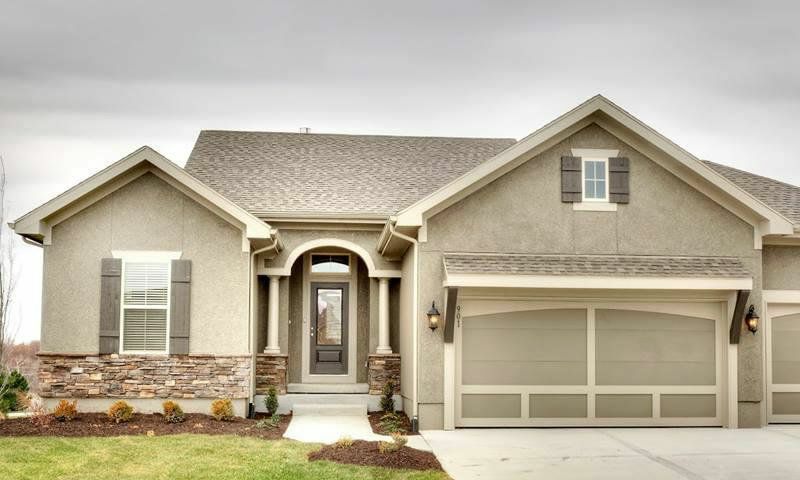 Alexander Creek is a 55+ community of low-maintenance homes in Raymore, Missouri. Sallee Development and Graham Homes is building the 187 conveniently located near Lee's Summit and Interstate 49. Residents can spend more time doing the things they love knowing that many maintenance tasks like snow removal and lawn care are taken care of by the homeowners' association (HOA). Five floor plans are available with entry-level master suites and a variety of flex room options, allowing residents to customize their home. Homeowners at Alexander Creek enjoy living in a low-maintenance community where many tiresome upkeep tasks are taken care of. The HOA will arrange for snow and trash removal as well as lawn care. This gives residents much more time to pursue the hobbies and activities they love. Walking trails will also ring the community, allowing homeowners to enjoy a brisk jog or relaxing walk around their neighborhood. There are five single-family floor plans currently at Alexander Creek. They range in size from 1,405 to 2,473 square feet with two to four bedrooms, two or three bathrooms, and attached two or three-car garages. All homes feature first-floor master suites with generous walk-in closets and spacious bathrooms with dual vanities and separate showers and tubs. The open design features hardwood floors in common areas, carpet in the bedrooms, and tile in the bathrooms. All homes have lower levels with additional bedrooms and flex space, perfect for an office or hobby space. Alexander Creek is located in Raymore, which is part of the Kansas City metro area. Routine shopping trips are quick and convenient with a Cosentino's Price Chopper, a Walmart, and several restaurants and other retail stores just over four miles away. The quaint downtown region of nearby Lee's Summit is appromixately eight miles away. Summer festivals, community celebrations, farmers markets, shops, and restaurants all await visitors. Downtown Kansas City is just under 30 miles away from Alexander Creek. Kansas City offers big-city attractions like The Nelson-Atkins Museum of Art and National WWI Museum and Memorial as well as shopping at Crown Center. Sports fans can enjoy professional soccer, football, and baseball games, all within a short drive of the city center. For long-distance travel, Kansas City International Airport is about 50 miles away, making getaways easy. Alexander Creek features quality low-maintenance homes perfect for active adults in Raymore, MO. Check back soon for more information on the lifestyle in Alexander Creek. 55places.com is not affiliated with the developer(s) or homeowners association of Alexander Creek. The information you submit is distributed to a 55places.com Partner Agent, who is a licensed real estate agent. The information regarding Alexander Creek has not been verified or approved by the developer or homeowners association. Please verify all information prior to purchasing. 55places.com is not responsible for any errors regarding the information displayed on this website.